The bowls below cost $5-7. Min. 6 items. Highly recommended are anything with fish paste stuffing. This is one my favourite lunch places now. Ingredients are neatly placed in an open refrigerator-like cabinet, the tongs are clean, and they wear plastic gloves when refilling the cabinet. Hygiene aside, they offer a wide variety of ingredients plus many different ways of making your final dish. 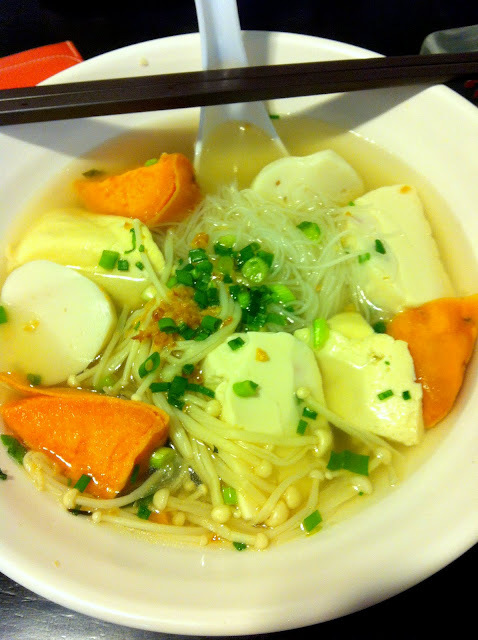 Choose between dry with sauce, soup with rice/noodles and laksa. Best of all, they have air-conditioning on the second floor. 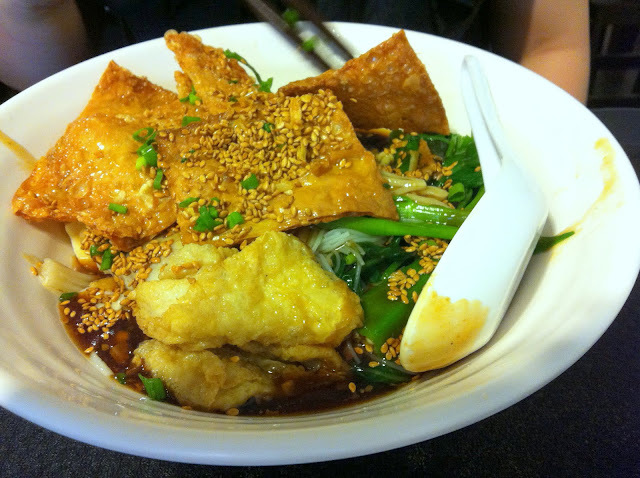 What more can you ask for a dish that is under $10 in the cbd area?